Belly Dance - What is it? Belly Dance is the music made visible. Belly Dance mainly uses the muscles of the torso rather than legs or arms. Belly Dance has its roots in folk dances of the Middle East and North Africa. 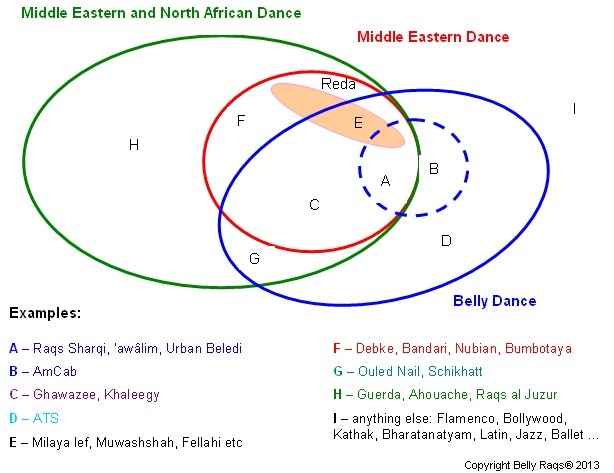 But not all dances of the Middle East and North Africa are Belly Dance. Some Belly Dance is recent and western. Belly Dance comes in a wide range of styles. Belly Dance is a gentle and enjoyable form of exercise. Belly Dance is suitable exercise for most pregnant women. Belly Dance is enjoyed by people of all ages, religions and fitness. Belly Dance is performed by both men and women. Belly Dance is a chance to dress up. Belly Dance is a chance to make costumes. FYI - I also have a class handout on how to decide whether or not something actually IS belly dance.